Obasanjo said this while addressing journalists after the closed -door meeting with the Peoples Democratic Party presidential candidate. They were in the meeting with Atiku and Obasanjo. 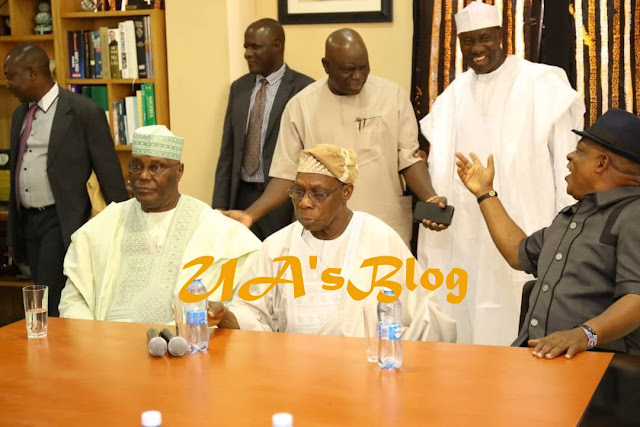 Obasanjo said that, based on what transpired at the meeting, he believed that Atiku now has “a contrite heart” and has shown remorse. The ex-president noted that among all the presidential aspirants in the PDP, Atiku has the widest and greatest exposure, adding that he (Atiku) understood the economy better than the incumbent president. The former president also said the PDP presidential candidate was not rigid and more accessible with links almost across the country.